"The lives of hundreds rest in his hands, given power to give life, and to take it... Book of Destruction line 7 verse 23. Nearly nothing is known about Thirgos but it has been recorded that Thirgos is capable of giving and taking life. 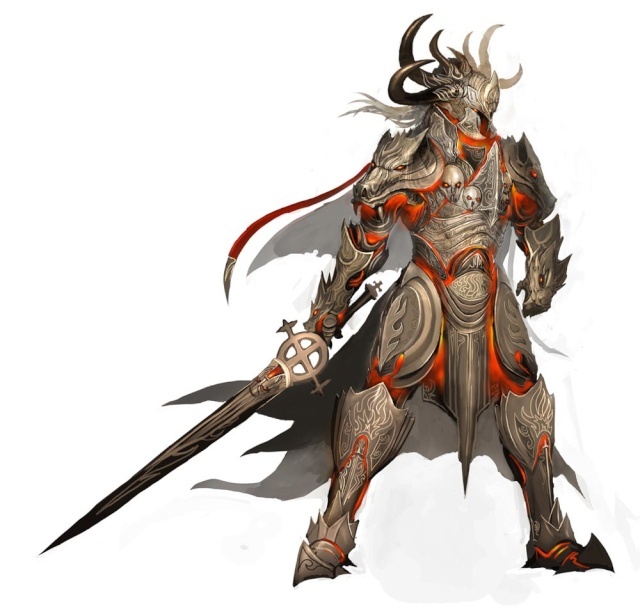 He very rarely appears to mortals and is usually seen flying over a great battle where many lives have been lost. Sithis created him as a way to instantly take and give life, without the trouble of acctually "killing. "Thirgos has rarely intervened in the mortal world and not many know his purpose. It is said that Thirgos is Sithis's eyes in the mortal plane and although he rarely interferes he is often seen. Thirgos most commonly takes the form of a "lich dragon" but also quite often appears as a regular person, to wander around cities and experience human/daemon life. Thirgos first appeared after a great battle where many lives had been lost, not only daemons. It is said that Thirgos flew overhead collecting, what Sithis felt, were those that deserved a second chance. It is said that among these few, were a couple from nearly every race. There is a verse in the Book of Destruction that talks about these souls. "He brought these men, and women with him. Into the void, they went, treated as kings and queens by Sithis and they spent many years with him, inside his palace. After many years he released these men and women, from the many races, back unto the world, given second life. 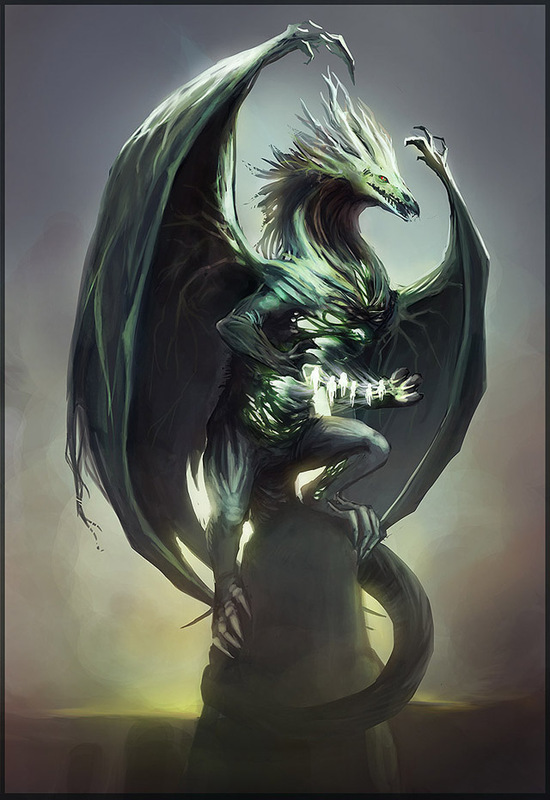 Thirgos most commonly takes the form of a "lich dragon" but also quite often appears as a regular person, to wander around cities and experience human/daemon life. Sithis is the representation of the one primordial state of chaos. He is the son of Gaia and Meirn although he is just as powerful. Sithis is a very chaotic god who enjoys pain and destruction. Sithis is known as the "Destroyer" or bringer of fire and death. After his creation Sithis felt neglected by his parents and decided to come up with a way of dealing with this insecurity, he dealth with this by creating choas and destruction. Sithis is worshipped by Daemons and all creatures that thrive in Oblivion. Sithis watches over Oblivion from his great palace inside "The void" a place that he created as a child where he could retreat to when he felt the need. From this "void" Sithis would create choas on wreck havoc upon the earth. Sithis followed in parents in his parents footsteps and also created three angels to do his bidding. 1. Thirgos Lord of Death. 2. Daemius King of Chaos. 3. Kythron Bringer of Destruction. "And so, unto man he comes like a great wave of fire, consuming all in his path. He is like the ocean's tide, relentless and never ending." -Book of Destruction line 4 verse 36. It is said that Kythron was created by Sithis as a personnification of destruction and as a direct way to wreak havoc. He was created for the soul purpose of destroying and mindless violence. When Kythron first appeared it was unto the daemons of Oblivion during a time a great peace. They had been at peace for numerous years and had stopped raiding other countries. The daemons were beginning to become a more peaceful race and some say that this was of Meirn's doing. Sithis would not let his father interfere with his race. There is a small section in the book of destruction that tells of this moment and descriptively explains what happened. "In a great ball of fire he came, the sky became orange and ash filled the air. The screams of the innocent could be heard as they were slaughtered where they stood. He had no remorse for the women, nor the children. No one could stop his rampage, he was a mighty warrior, unlike anything ever witnessed before. Fire rained from the sky, burning houses and daemons to the ground. Warrior after warrior threw themselves at this man, this thing that had come from the sky. For hours the onslaught went on, until the people finally realized there was no hope. This madness could not be stopped. They began throwing themselves into the flames and opening their veins in honor of Sithis, that he might save them from this beast. A great hole in the sky then opened and a mighty voice boomed out. "This is the wrath of Sithis, your race is not made for peace, you are to carry out my will and create chaos. Let my will be done, and nothing like this will happen again. Almost as quickly as it had started the beast was sucked into the sky and the people were left to repair their houses and mourn those who were lost. After that godforsaken day everything in Oblivion has been relentless in their quest to please Sithis, in hopes that his fury might never again be unleashed.